We need sidewalks and crosswalks, and we need to maintain them. This should be required in any metropolitan area where people can walk to their destinations. When your community does not have sidewalks or have sidewalks that are damaged, the children, elderly, blind and those confined to wheel chairs are forced to use the street to get to school, a store, a post office, a library, their work, or to a bus stop to catch the Lift. street with cars on the road around him. 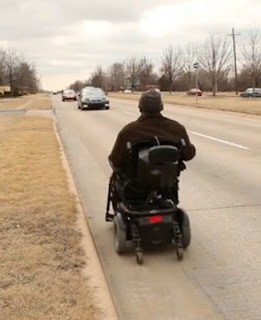 Learn how you can help at Tulsa Sidewalk Stories.